BROWNSVILLE — Save RGV From LNG, a grass-roots environmental group fighting proposed liquefied natural gas projects at the Port of Brownsville, has been granted legal authority to intervene in the permit application of Texas LNG Brownsville LLC, the Houston-based company behind one of the projects. In a letter dated Jan. 18, Nathaniel J. Davis, deputy secretary of the Federal Energy Regulatory Commission, granted Save RGV’s “motion to intervene,” which makes the group “participants in the proceeding” and gives it the right to request rehearing of FERC orders and to seek relief in court of final agency actions in the U.S. Circuit Courts of Appeal, according to FERC. Texas LNG filed its permit application with FERC in March 2016. FERC’s notice the following month announcing the company’s application set May 5, 2016, as the deadline for the filing of motions to intervene. FERC rules allow for late filing of such motions in some cases, however, including motions filed on environmental grounds within the public comment period of a project’s Draft Environmental Impact Statement. Save RGV filed its motion on Dec. 12, five days before the comment-period deadline, arguing that it has an interest in the Texas LNG application proceeding because the organization and its members have “environmental, aesthetic, and economic interests that will be directly affected by the project,” according to Davis’ letter. The Texas LNG Draft Environmental Impact Statement was released in October. 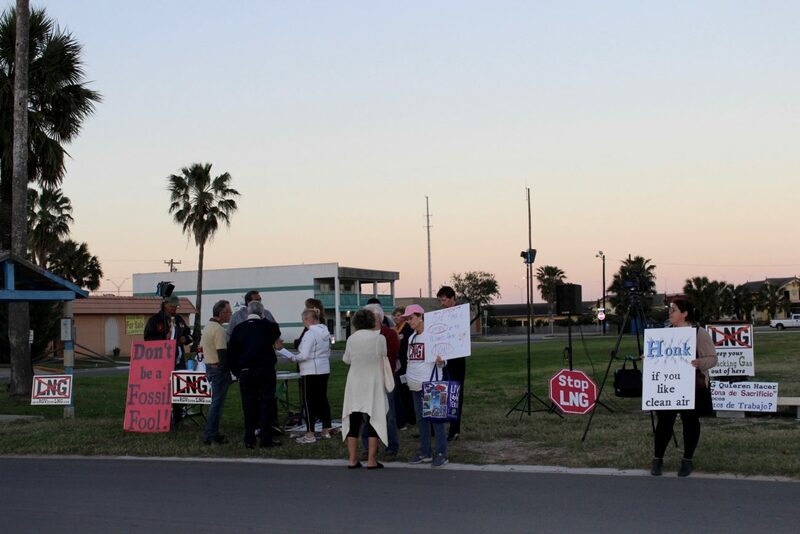 Save RGV argues that Texas LNG and two other proposed LNG projects, Annova and NextDecade, will damage the environment, the local fishing industry and tourism while posing risks to the safety of residents. Texas LNG wants to build a natural gas liquefaction and export terminal on 625 acres on the north bank of the Brownsville Ship Channel. The plant would have a maximum export capacity of 4 million metric tons of LNG annually, making it the smallest of the proposed facilities. “Unfortunately, anti-LNG activists are trying to deny a transformational opportunity for families and workers in the Rio Grande Valley,” he said. Save LNG could not be reached as of press time.